Designed with class in mind, the Caroline Estate offers a beautiful and elegant structure in any bathroom design. 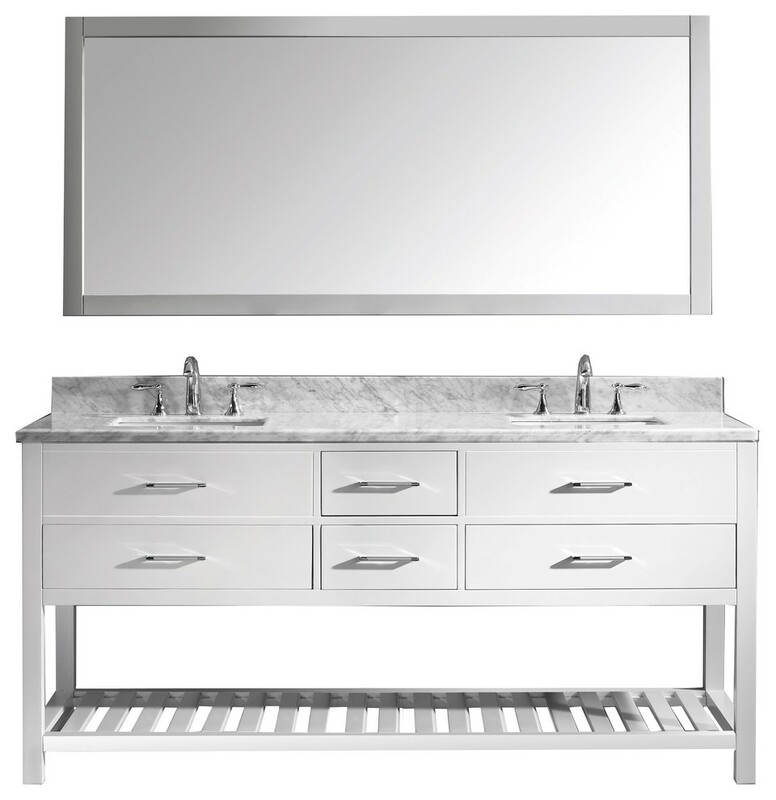 This vanity is finished in an elegant white color and includes a single full framed mirror. This vanity offers a revealing hospitality towel rack for additional storage. The sleek look of the Italian Carrara white marble countertop completes the set for this high-class, designed vanity. The Caroline Estate works well in any master or guest bathroom.Virtu USA has taken the initiative by changing the vanity industry and adding soft closing doors and drawers to their entire product line. The premium soft-closing hardware not only increases the safety of the vanity, but also its lifetime reliability. W 72" / D 22" / H 34" / 432 lb.